Wouldn’t it be cool if you could host your own private GitHub, for browsing your local repositories or remote ones you host on your own server? 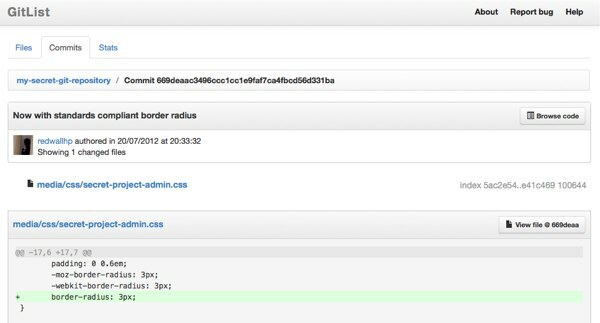 Well, there’s a new PHP application in town that lets you do exactly that. GitList, the self-described “elegant and modern git repository viewer” adds a simple web interface for your repositories, allowing you to browse commits and code. It’s still in its infancy, but it has the basics. Once you get it up and running, it’s a convenient way to view commits. I’d probably be using it regularly if I wasn’t already hosting my private repositories on BitBucket. Have you been trying to wrap your head around Git, the version control software that everyone is talking about? It works a little differently than tools like Subversion, so you’ll have to unlearn some habits if you’re familiar with other version control packages. A fancy new one-page website has been circulating Twitter and Reddit of late, serving as an easy into to Git. Git: The Simple Guide helps you install the software, create a repository on your local computer or check out an existing remote one, and start using Git. Anyone in the programming industry will recommend that you use version control software like SVN or Git to save yourself headaches when you make a mistake and need to roll back a file to a previous state. What if you used Dropbox for that? You get 2GB free, and files sync automatically without you having to do anything. Dropbox has file versioning built in, actually. When you edit or delete files, Dropbox keeps prior versions in case you wish to restore them. With a couple of clicks you can overwrite the current version with an old. While that’s great for basic applications, you could take things a step further and store a SVN repository in your Dropbox (with a local SVN server powering it). It would work fine for a single user, but it wouldn’t work well with more than one committer. The popular version control software Subversion (or SVN) is moving to the Apache Software Foundation. While Subversion is undergoing incubation at the ASF, CollabNet will continue to host the project at http://subversion.tigris.org. In addition, third party-certified binaries of the software configuration management system will continue to be available from CollabNet, as well as from other vendors, both during and after the incubation period. This was brought to my attention by @ArtemR on Twitter. It’s interesting, and certainly important to the project. I think that it can only make things more efficient though. I highly doubt that the ASF is going to cause the sky to fall, or whatever it is everyone’s afraid of. 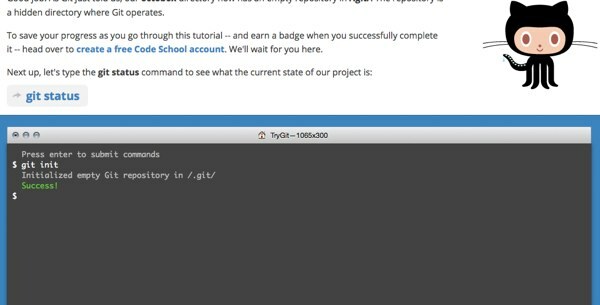 There’s an interesting tutorial up on Net.Tuts+ that caught my attention: Easy Version Control with Git. Git seems like a powerful tool, and one I’d definitely like to look into in the future. It seems like it can do a bit more than SVN, as WhyGitIsBetterThanX.com happily points out, and may even be easier once you get used to it. Git is a open-source code managemen tool; it was created by Linus Torvalds when he was building the Linux kernel. Because of those roots, it needed to be really fast; that it is, and easy to get the hang of as well. Git allows you to work on your code with the peace of mind that everything you do is reversible. It makes it easy to experiment with new ideas in a project and not worry about breaking anything. Version control systems are great for anybody doing serious coding work, or design even. You could keep your blog’s theme in a repository, for example, so when you make changes to it you can roll them back if things break or you just want to revert back. You would be able to store the files remotely on a Git server, work on them locally (in your WAMP/MAMP server), and when you want to make you changes live you could just checkout the files to your production server.